The “Dr” title chiropractors receive when they graduate, means “Doctor of Chiropractic” - the historical qualification of the chiropractic profession for over 100 years. 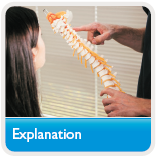 Patients are often surprised to find that the Chiropractic profession is not new... The first College of Chiropractic was founded in 1910. 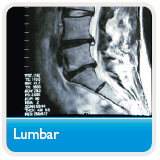 Chiropractors were the also first profession to train students to take and read Xrays for medical diagnosis. Much pioneering work on radiology (Xray techniques and analysis) was done by chiropractors in the early 20th century... 18 years before the ordinary medical profession started training their students to become radiologists! Medical students study for five years to become a medical practitioner - “doctor of medicine”. Scott Middleton studied for five years before graduating as a chiropractor - “doctor of chiropractic”. Newly graduated medical practitioners (“medical doctors”) practice and study for a further three years in a clinic with a “senior partner” (trainer) before being allowed to practice on their own. Similarly, Scott practised and studied for three years at a clinic in the South of England with a “senior partner”(trainer), whilst starting his new practice in Wilmslow in October 1979. The degrees and total hours of study are similar... so what is the difference between a GP and a chiropractor? Some differences are obvious. For example, chiropractors do not study surgery, A&E medicine and do not advise on prescribed medication... but they study orthopaedics, neurology and musculoskeletal medicine to a much more advanced level. These differences are highlighted in the postgraduate training. The newly graduated medical practitioner ("Doctor of Medicine") practices as a GP trainee for a further three years and covers all aspects of general medicine - but not at specialist level. In contrast, when Scott Middleton graduated as a Doctor of Chiropractic he too practiced for three years with a trainer, but concentrated his studies on orthopaedics, neurology, rheumatology, paediatrics, sports injuries and the specialised tests and specific treatment protocols designed to alleviate the many musculo-skeletal pain syndromes that he would be treating for the rest of his career. A GP should have a good general knowledge of most aspects of medicine. He or she is the gatekeeper of health in the community and should be proficient enough to know when to refer a patient for specialist care and to whom that patient should be referred to. 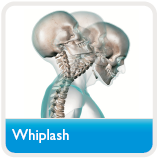 A chiropractor is one of the specialists. He or she has an excellent knowledge of, and expert skills to deal with, a relatively small area of the medical spectrum. The main complaint that patients have when consulting a chiropractor is pain. Chiropractors are renowned for helping patients with their back pain, but they also regularly help people with pains, pins and needles, numbness or weakness in all parts of the body. 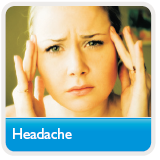 For example, c.10% of Scott’s patients initially consulted him complaining of headaches or migraine. The results, proven in clinical trials, can be amazing. British Government CSAG guidelines in 1994 stated that patients with low back pain should, if they have not responded to simple anti-inflammatory drugs, be referred for a short course of expert manipulation. In 2004 the European Guidelines stated exactly the same. Both of these guidelines stated that patients should NOT have physical therapy such as ultrasound, interferential, hydrotherapy, traction, etc as these old-fashioned techniques have never been proven to be beneficial and thus should NOT be recommended. The 2009 National Institute of Clinical Excellence (NICE) guidelines again highly recommended manipulation, but did NOT recommend the above unproven physical therapy treatments.